It has been ages since the last time I visited Bohol. I think, the last time I was there, I risked life and limb in Danao Adventure Park. Back in college, my friends and I used to have spur-of-the-moment trips to Bohol. We’d stay in Jane’s house and we would just drive around the island. When I took up scuba diving, Bohol was one of my favorite dive spots. Then life happened, I have not gone back to the island for years. A little more than a month ago, my college friends and I decided to visit Bohol again and make new memories. We started our journey in Cebu and took a fast craft to Tubigon. In Bohol, we rented a van to take us around the island. We dropped by Clarin quickly from the port of Tubigon, a charming little town where my friend Jane grew up. We had breakfast at her home, prepared by her Mom. It was wonderful to see her Mom again who, I am glad to know, still remembered me. We went on a Saturday and there were busloads of people visiting the site, it was a challenge to find a spot without another human blocking the view. But it was heartwarming at the same time to see that people go there in droves to experience this breathtaking view of the hills. Sayang, I do not have a good photo of the hills this time. But I would love to visit again, when I am not sick (had cough, colds, and lady visitor), on a weekday in February when the weather is kinder (it was too hot and humid when we went). 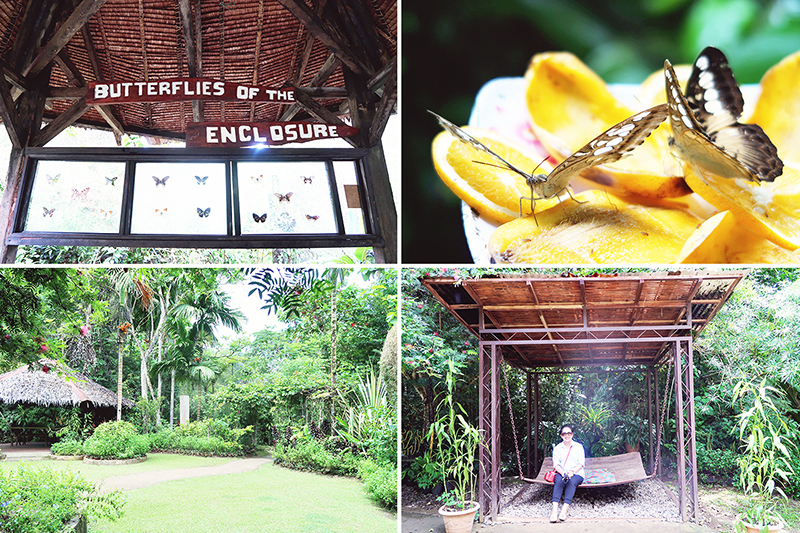 It was my first time at the Habitat Butterflies Conservation Center. 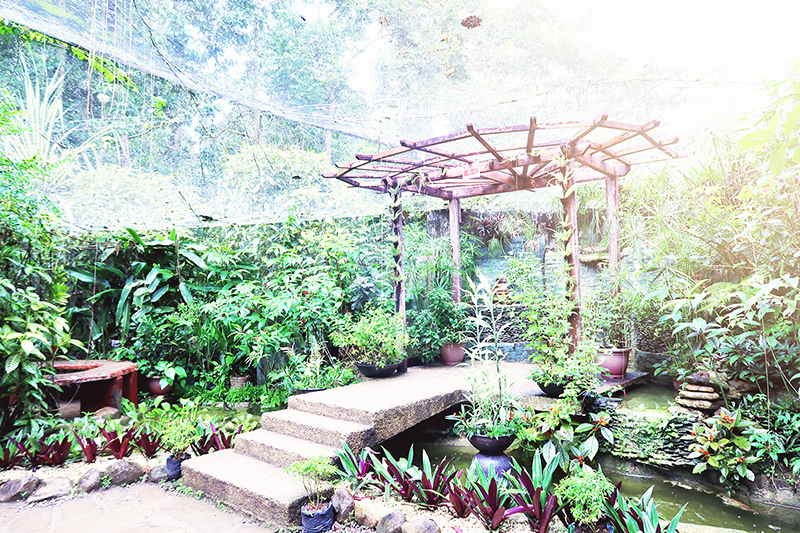 If you are like me who loves flowers and butterflies (or nature in general), then you’d appreciate this place. Although it isn’t very big, it is beautiful nonetheless. They have a lot of charming little corners, too. Another special thing about the place? Their guides are all so funny and helpful. Our friend Rosebelle visited the Habitat just a few weeks prior and she recommended we try their homemade ice cream. I love ice cream and I love all things homemade (and handmade), I tried three flavors! Don’t tell my doctor. I would’ve tried more flavors, but I had really bad cough and colds at that time. If you ever find yourself here, grab some. The first time I saw photos of the Bilar Man-Made Forest, I instantly wanted to go. When we finally got to this spot last June, I was so happy to be standing under all those trees. It looked straight out of a storybook. 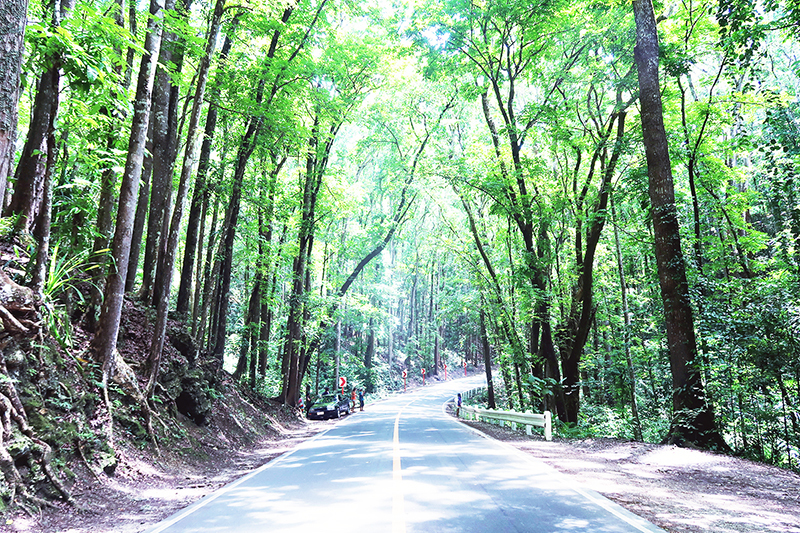 People who travel from the Chocolate Hills National Monument to Loboc will pass through this canopy of mahogany trees. Most of the time, tourists stop here, take photos, and enjoy the scenery. And while I find this man-made forest to be very beautiful (I love the idea of reforestation, too), I am also aware that this is a dead forest. A Boholano friend of mine told me that Mahogany is not endemic to the island and that species native to the area do not thrive here. I am really curious about the history of this place and how, perhaps, someday, these trees could be replaced with trees endemic to the island (if that is at all possible).